The Montessori at Trinity Oaks is now enrolling! 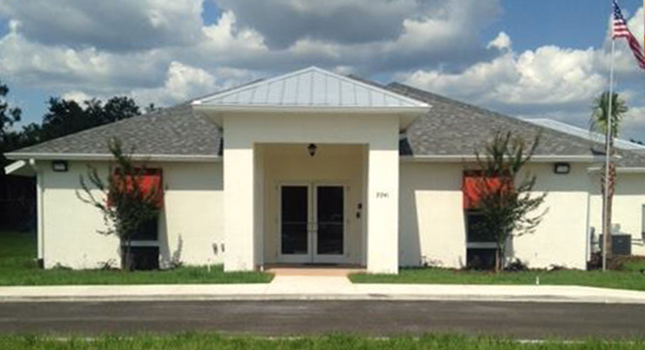 The Montessori at Trinity Oaks is a Preschool that offers an academic based childcare program in the Trinity, New Port Richey and Pasco County areas. Montessori is a unique educational approach that nurtures a child’s intrinsic desire to learn. Montessori focuses on the whole child — cognitive, social, emotional, and physical development. Introducing your child to Montessori as early as possible puts her on the right path to becoming a confident, self-motivated learner. Our program provides exploratory, self-directed learning for young children following the world renowned Montessori curriculum. Our Montessori school provides a vibrant and nurturing environment for the children, teachers and parents. Children learn in an authentic Montessori environment with Montessori materials where children will enjoy learning. In addition to academics, our program provides art, music, and foreign language, instructed by professionally trained and certified Montessori teachers. 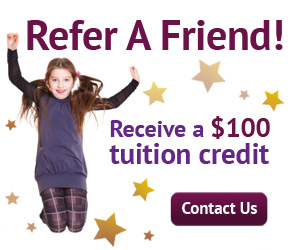 We are currently scheduling tours and enrolling for the school year. We are located near the intersection of Tamarind and Trinity Blvd, behind the Trinity Oaks Shopping Plaza, at 9941 Trinity Blvd in Trinity, FL 34655. The Montessori at Trinity Oaks offers 3-day and 5-day full and part-time programs for children ages 2 to 6 years following the world renowned Montessori curriculum. 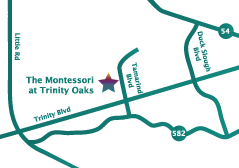 The Montessori at Trinity Oaks is a APPLE accredited school.